A windshield does more than protect you from the airstream moving past your car. It prevents small rocks and similar sized road debris from striking you at highway speeds. On the other hand, a cracked windshield can shatter from such an impact. In addition, a minor car crash may cause it to shatter. An intact windshield strengthens the protective cage that surrounds the driver and passengers. A cracked windshield weakens the roof, which increases the likelihood of a roof collapse during a rollover accident. An intact windshield also strengthens the driver/passenger compartment against head on collisions. Without this added strength, the car interior can sustain greater damage and both you and your passengers have a greater risk of injury. The windshield serves as a back wall that supports the right side passenger airbag after deployment. A cracked windshield is too weak to hold the airbag in place. This negates the protective function of the device. A cracked windshield increases sunlight glare during the day, and headlight glare at night. Light reflecting off the cracked surfaces within the glass produces the glare that makes difficult driving situations worse. 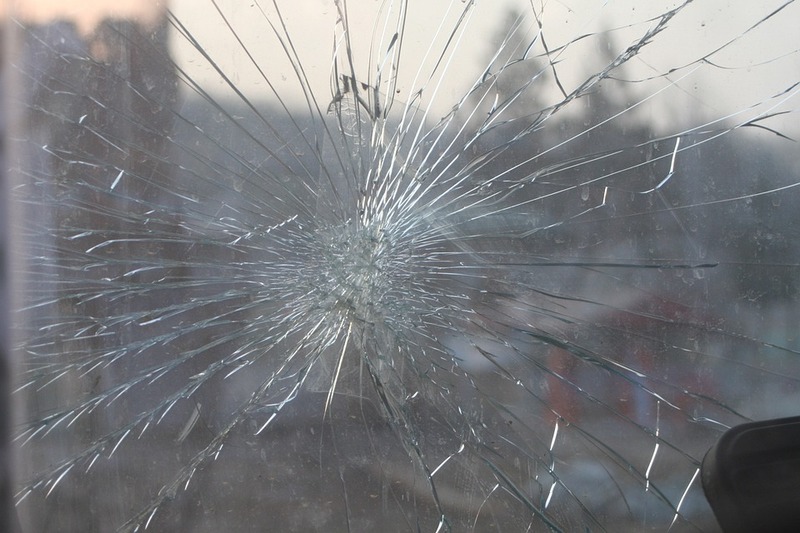 A cracked windshield can also prevent you from seeing oncoming traffic. This depends on the crack’s size, the viewing angle, and the approaching vehicle’s distance. Crack induced glare makes the problem worse. If you were injured in an accident, experienced car accident lawyers can advise you of your legal options. For a free consultation, contact us at Hogan Injury.